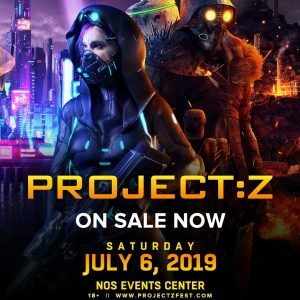 This summer, Bassrush and Basscon, are joining forces once again to bring you the best in bone-rattling, neck-snapping bass with the return of PROJECT:Z. Taking place Saturday, July 6, at the NOS Events Center in San Bernardino, CA, this head-to-head battle between bass-lovers and headbangers is going down as the ultimate bass-head throwdown of the year. For more info, visit the Project Z Website!